Bedding is one of the most important elements to choose when decorating a bedroom. It complements the bed itself and helps tie the whole room together. It can be an overwhelming choice to make given all the options out there, but one of the best is the most classic of them all: white bedding. White bedding instantly gives a room that five-star hotel vibe and adds a timeless, clean look to the space. It suits every style and every color scheme. Whether you’re going for a monochromatic look or want to add some contrast to bright or dark colors, white bedding always looks great in a bedroom. Here are 10 examples of beautiful rooms with white bedding to give you some inspiration and ideas. A white and grey palette is contemporary and serene for a bedroom while wood tones add warmth and character. Elegant white bedding adds a traditional touch to this room while clean lines bring a contemporary flair. 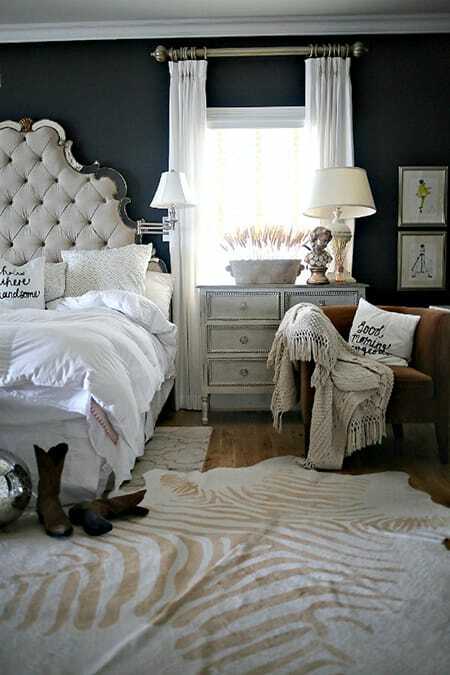 Going all neutral can be elegant and comfortable as proven by this monochromatic bedroom. The crisp, clean white bedding creates a beautiful contrast to the deep blue walls. 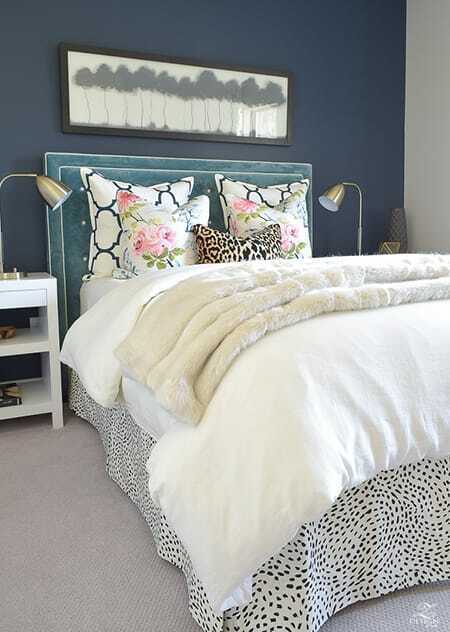 This bedroom is chic in every way from the black walls and white bedding to the stylish animal print. 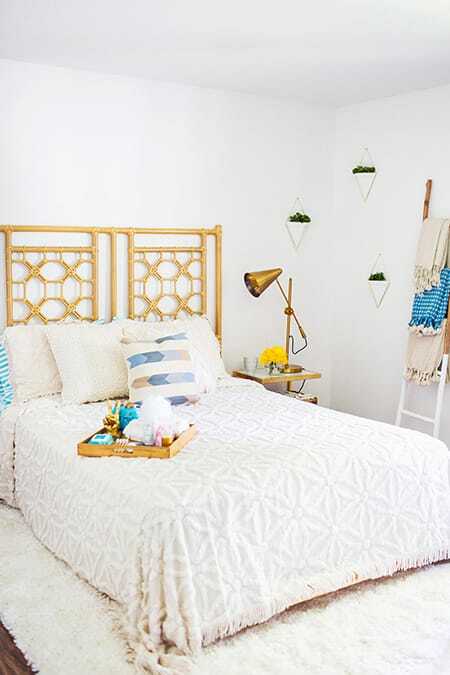 The white bedding polishes off this beautiful space, looking especially beautiful against the teal. Allowing the white sheets to show beneath the taupe comforter add a beautiful, crisp touch to this otherwise warm space. White bedding does a great job of balancing out all the bright colors at work in this bedroom. Florals, animal print, and glamorous textures come together to create a wonderfully feminine space. Modern meets glamour in this super chic bedroom. Love how the bedding blends with the rug and walls for a seamless look. You can never go wrong with white bedding!